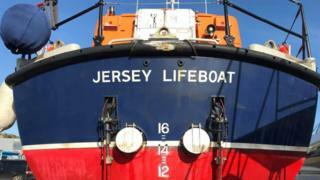 The Jersey Lifeboat Association (JLA) can now respond to emergencies at sea after it was granted official status. Coastguards will now consider the JLA alongside the RNLI for search and rescue missions. The independent lifeboat service was set up after a dispute between the RNLI and the former St Helier crew in 2017, which led to volunteers being stood down. Coxswain Andy Hibbs said it was a "phenomenal undertaking". "This has been rumbling on, pretty much, for two and a half to three years now. "In the 12 months since we set up our independent station, we've achieved so much as a crew, with all the volunteers and fundraisers and this is where we are now." Harbourmaster Bill Sadler said the JLA's boat, policies and crew have met the standard required by the UK's Maritime and Coastguard Agency Rescue Boat Code. The JLA has been on call since midnight and will be available for tasking to incidents at sea as and when required.